Nick is a young outgoing guy. He has two jobs, a wide circle of friends, is very close to his family and has a real passion for drumming. He also happens to have Williams Syndrome, a rare genetic condition that has affected his ability to learn. But, this doesn’t stop him from living a very full life! Says Nick, who recently moved away from his family to live in his own flat, for the first time. A decision that Nick is glad to have made, even though it was daunting. 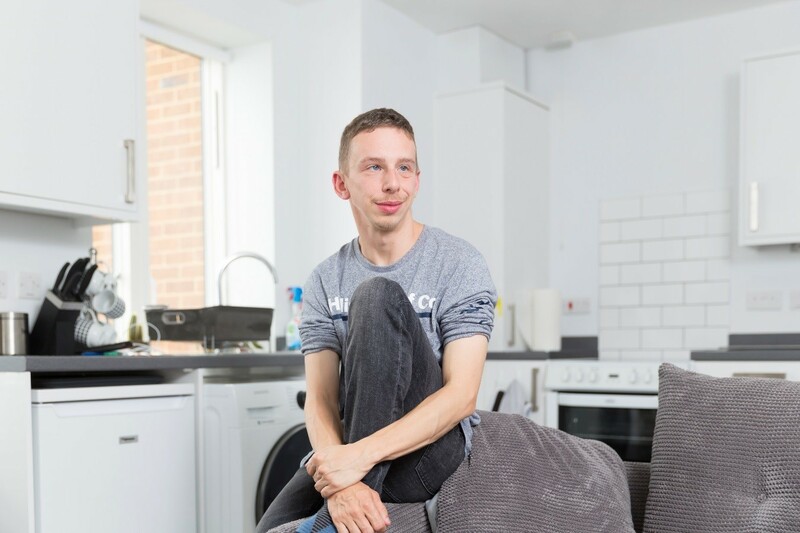 Nick enjoys his new found independence and having a place to call his own; however, one thing is missing. After seeing the relationship his brother has with his partner, Nick realised that this was something he wanted to experience for himself. His search for someone to share his life with led Nick to Channel 4’s Undateables and an appearance in the latest series. The production company matched Nick up with Chloe, who also has a learning disability, and the episode followed their date to a bowling alley. After a difficult start Nick’s warmth shone through and the two were able to relax and share a few laughs. The reaction from the public was huge, both online and on the street, people instantly warmed to Nick and they showed it. Nick’s not sure if Chloe is the right person for a relationship, but that hasn’t dampened his spirit or determination to find that someone special. But in the meantime like any man his age Nick knows what his priorities are.